Shazam, the music-finding service, has appointed Viacom branded content marketing chief Alexis Rodriguez as its new head of global marketing solutions. Reporting to chief revenue officer Greg Glenday, Rodriguez is tasked with overseeing the integrated marketing partner marketing and creative services team based in the US, with a dotted line oversight to the company’s international marketing team. Based in New York, she is also responsible for developing long-term strategy for marketing around Shazam tentpole calendar events, such as the Grammy awards, the Brits, and the Super Bowl. 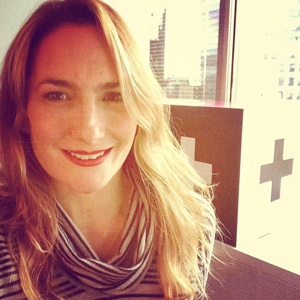 She has joined Shazam after 11 years at Viacom, where she was most recently senior vice-president of integrated marketing where she led campaign strategy across music and entertainment channels. Rodriguez is credited with "revitalising" the VH1 music channel’s content marketing with strategies using data-driven insights and creating social campaigns for Domino’s, Rimmel London and Toyota. She also founded and ran Branded Entertainment Studios and RAW Interactive where she directed projects for internet start-ups as well as blue-chip clients.